A cancer diagnosis received after dealing with asbestos can be a crushing blow for anyone. Find out if you’re eligible for financial compensation by speaking with a Spokane mesothelioma lawyer. Asbestos exposure can be deadly as it often leads to devastating respiratory illnesses. If you were exposed and have since been diagnosed with mesothelioma, you deserve to be compensated for your life-altering injury. A Spokane mesothelioma lawyer from Craig Swapp & Associates can review your case to determine both who was responsible for your exposure and how to go about getting compensated. After being harmed by asbestos exposure, you have several potential options for seeking compensation. Your Spokane mesothelioma lawyer can advise you on the best way to proceed based on how you were exposed. Personal Injury Lawsuit – If a person or business was responsible for your asbestos exposure, you can file a lawsuit against them seeking compensation for your cancer and how it’s impacted your life. VA Disability – Veterans and active duty military personnel exposed in the line of duty can file for VA disability. This can be a long and arduous process that often requires filing an appeal with the help of an attorney. Asbestos Trust Funds – Some bankrupt asbestos companies have put money into trust funds that can be accessed by victims. There are specific factors that must be met to qualify. You deserve to be compensated for all of the ways that your health and lifestyle have been impacted by your asbestos-related cancer. While this will obviously include all of your current expenses, medical and otherwise, it also needs to account for your future needs. Furthermore, the negative impact the mesothelioma has on your life and family also needs to be factored in. Washington State only allows certain relatives to file, however, so it’s important to make certain you qualify. To find out if you can file a wrongful death lawsuit, speak with a Spokane mesothelioma lawyer from our office. If you have developed cancer after being exposed to asbestos, you can get compensated for your damages and losses. The legal system doesn’t make this process easy, so it’s important to get the experienced legal counsel you need to bring your claim to a successful conclusion. 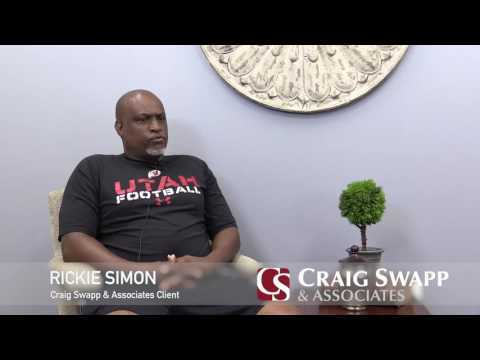 Craig Swapp & Associates can protect your rights, provide you with sound legal advice, and help you to take the necessary steps to receive the compensation you deserve. Schedule a free consultation with a Spokane mesothelioma lawyer by calling 1-800-404-9000 or by completing the contact form below.